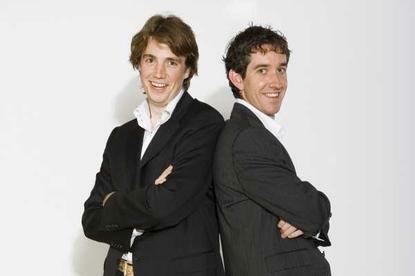 Atlassian co-founders and co-CEOs, Mike Cannon-Brookes and Scott Farquhar. The Pledge 1% campaign that encourages companies to dedicate 1 per cent of employee time, equity, product or profit to improve communities around the world, has garnered support from over 500 companies in its first year. The corporate philanthropy movement founded by Atlassian, Entrepreneurs Foundation of Colorado, Rally for Impact and Salesforce.org, said companies such as DocuSign, Glassdoor, Lookout, Twilio, Xactly and Zuora were among those to offer support. “There’s been a groundswell when it comes to the next generation of companies adopting philanthropy as a key value. We truly believe that giving back is a key component to building a great company,” she said. Atlassian co-chief executive and co-founder, Scott Farquhar, added that the real power of Pledge 1% is that it inspires companies to bake corporate philanthropy into their business model from day one. "It becomes a core part of their culture, not just another box to tick off. Having reached the initial goal of 500 companies, we’re excited to triple the number by the end of next year." Of the first 500+ companies that have joined the movement, 59 per cent committed a percentage of equity, 54 per cent pledged a percentage of employee time, 39 per cent pledged a percentage of product and 18 per cent pledged a percentage of profit. Companies that joined the Pledge 1% movement in its first year include: 6sense, AppNexus, Campaign Monitor, DocuSign, Dstillery, General Assembly, Glassdoor, Hampton Creek, Lookout, MediaMath, Planet Labs, Sage, Twilio, Weebly, Xactly and Zuora. The organisation has also partnered with venture capital firms including Bessemer Ventures, Blackbird Ventures, Foundry Group, Obvious Ventures and SV Angel and startup accelerators including Techstars to include Pledge 1% as a part of the startup process.